Okay, so we're still getting over the trauma of that mid-March snowstorm, but it can't stop us from daydreaming about all our favorite springtime activities. Whether we're strolling the city admiring the cherry blossoms or picnicking at Book Hill Park, we love any excuse to get outside and (finally!) enjoy some fresh air. And, we've found the perfect accessory to accompany us on our warm-weather frolicking. This easy-breezy cross-body from French Connection — we call it picnic basket-chic — is small enough that we can lug it around the District, but has enough room to hold all our weekend essentials (sunglasses, anyone?). The best part? ASOS is hawking the arm candy for only $58, so you can have enough pocket change left over to stock up on snacks and booze — after all, what's a picnic without some grown-up treats? 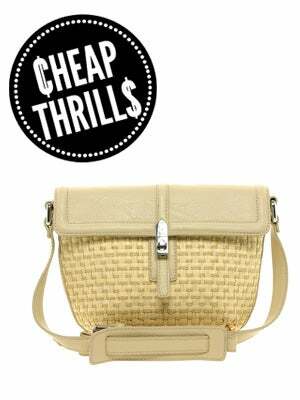 French Connection Small Crossbody Bag, $58.19, available at ASOS.